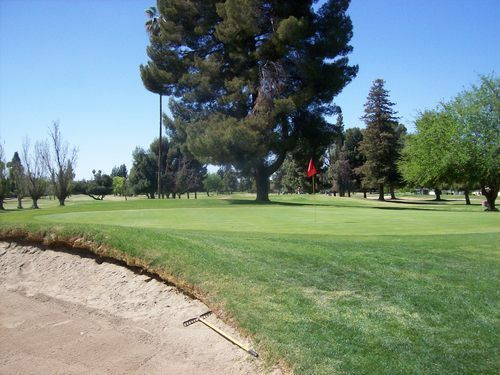 After my last visit to Kern County not too long ago, I was happy to complete my “public” course checklist up that way. 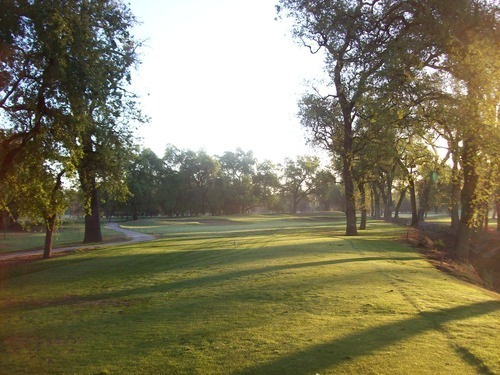 But not long after that, a friend pointed out to me that the previously private Sundale Country Club was now offering regular tee times through GolfNow. In other words, my eyes are always open for an opportunity to play a new course! I actually went past Kern County for this one and into Tulare County. 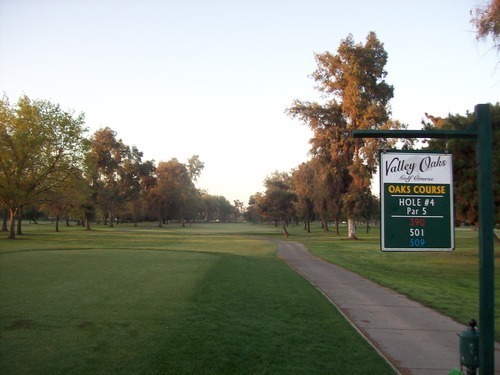 Kern County was my cut-off for what I considered Southern California when I made my original public checklist, so Valley Oaks was the next course to the north I hadn’t played. 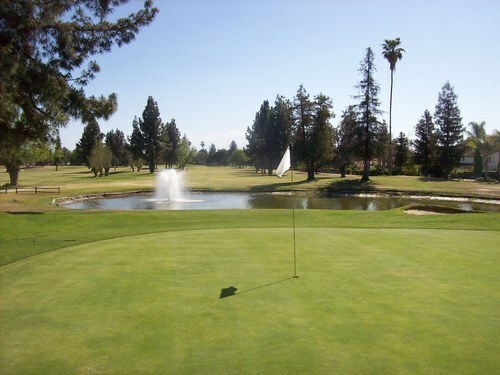 Visalia is about an hour further than Bakersfield, but you all know I’ll drive as much as it takes to play a new course. I was there before the crack of dawn and ready to play. I called the day before to make sure there wouldn’t be any issues with getting out early in the morning on Saturday. They said “no problem.” They let me know there was a big tournament group starting at 8:00 and some tee times booked ahead of that, but if I got there early enough I’d be able to get off right at daylight. 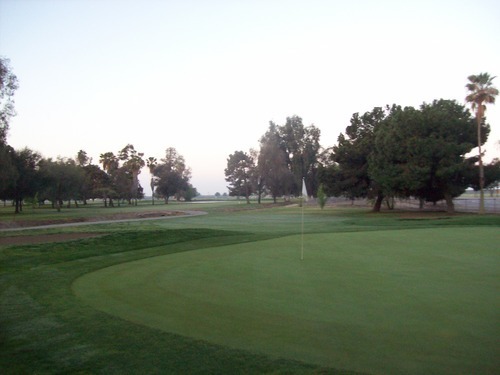 Unfortunately, when I checked in the pro shop on Saturday, the kid working there told me the course was booked solid until almost noon and that they don’t allow ANY play until 7:00. So, whoever I talked to on Friday afternoon was full of crap. I wasn’t too happy about that after driving an extra hour to get here, but after a few minutes of hanging around in the pro shop, he finally relented and told me I could go off first ahead of the 7:00 group. The price was a reasonable $49, which included cart. Also, when I told him this was my first time playing the course, he was nice enough to give me a yardage book. I was thankful for this. The funny thing is that the 7:00 group that went off behind me was just a twosome anyway, so I am not sure why he couldn’t have just paired me with them. Oh well, I was on the course and happy that my plan didn’t backfire. 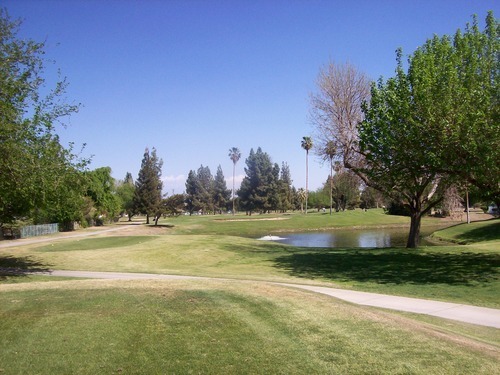 There are three nines at Valley Oaks (Oaks, Lakes and Valley). 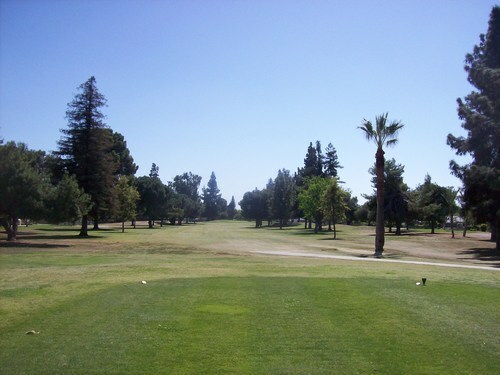 I played the Oaks/Lakes combo and zipped around in about two hours. What I like about this place is that, unlike some other 27-hole facilities, they seem to keep a consistent routing here. That meant I didn’t run into a bunch of groups when I made my turn. Morning tee times were playing Valley/Oaks or Oaks/Lakes, so that meant nobody was starting on Lakes during the early morning rotation. The two nines I played were quite different, but both featured enjoyable layouts. 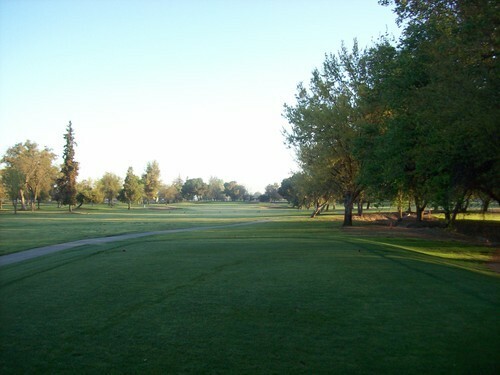 The Oaks nine, as you might expect, featured plenty of trees. As you’ll see in some of the pictures, it ended up being very pretty once the sun came up and started shining through the branches. There are some tight angles on tee shots and it pays to be in the right positions for your approach shots. 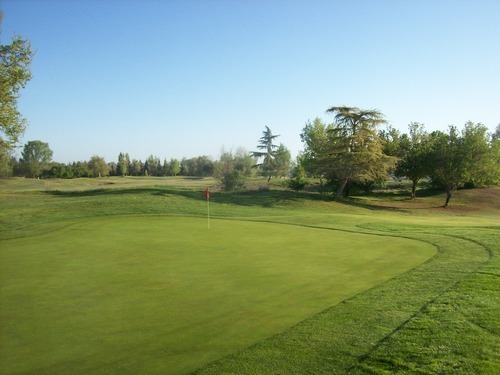 There’s a small ditch/creek that runs through this part of the course and comes into play on a number of holes. Right now, it’s all dried out and they have a layer of sand in the bottom, so even if you find it, it’s not a tough recovery. 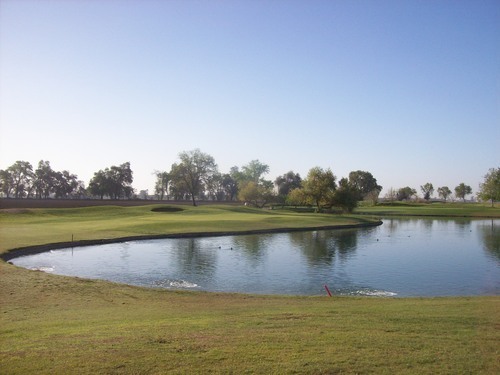 The Lakes nine doesn’t feature as much water as you might expect from the name, but there are a couple of ponds that come into play on a few of the more memorable holes like 6, 7 and 9. 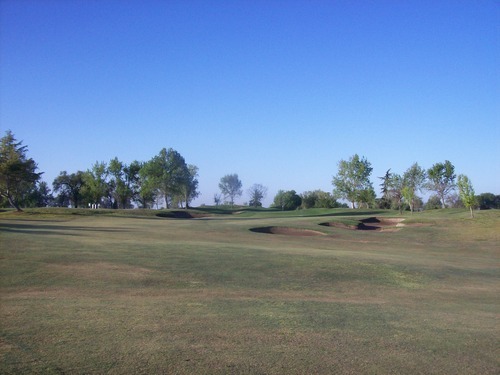 Beyond that, Lakes is more of a links style design with some undulation throughout the fairway and rough, along with many well-placed bunkers. 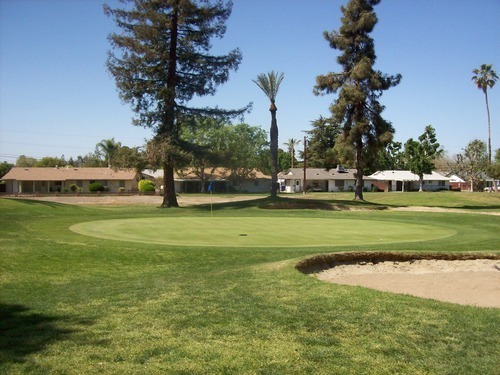 If you are playing the right tees for your distance/handicap, you really have to pay attention to where the bunkers are because they are ball magnets. Believe me, I found out the hard way! 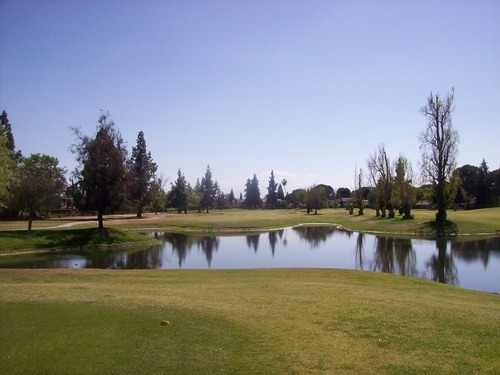 Overall, I found both Oaks and Lakes to be good designs with just enough challenge to keep you focused, but also some good scoring opportunities if you hit good shots. 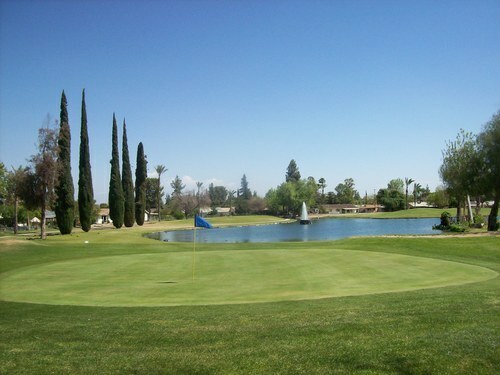 I was pleasantly surprised by how enjoyable the course was on all levels. The staff was ultimately friendly after that initial frustration and the facilities are nice. 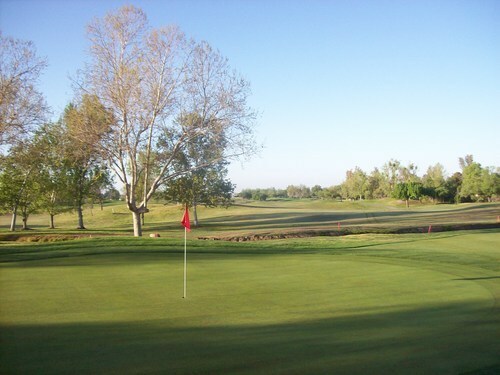 They have a big range, putting greens and short game areas to warm up before your round and a small bar/restaurant to enjoy your 19th hole festivities. 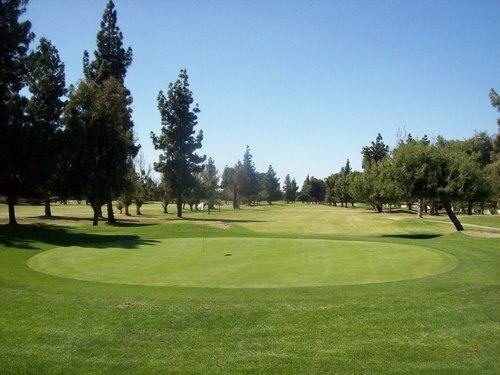 The course was in decent overall condition, as well. 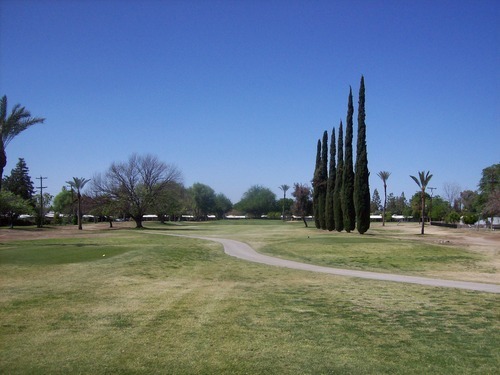 The fairways were a bit thin and provided a ton of roll out, but the lies were consistent. The rough was a bit patchy, but not too penal. 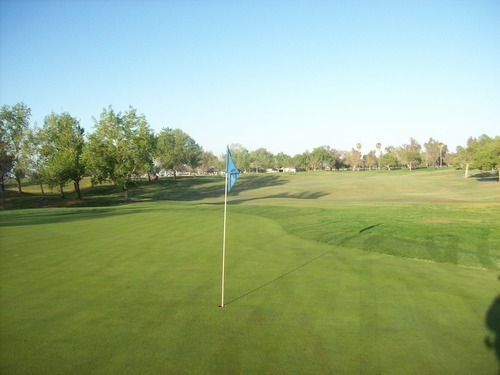 It was thickest/nicest around the greens and could make for tough chipping. The tee boxes looked great. Some of the greens appeared to have been aerated maybe 2-3 weeks ago. There were some minor remnants visually, but it had no effect on putts. 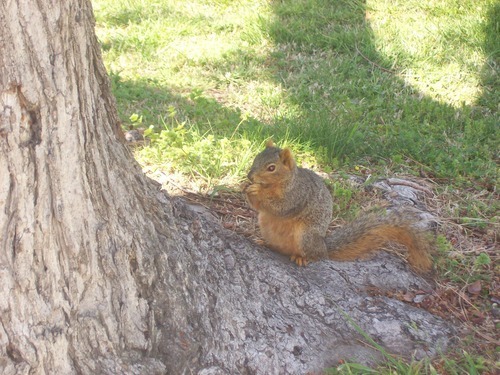 Otherwise, they were receptive and smooth, rolling at medium speeds. As mentioned, I was in a bunch of fairway bunkers and they were the ideal firmness. The greenside bunkers were a little heavy/damp in the morning, but the sand was good enough. 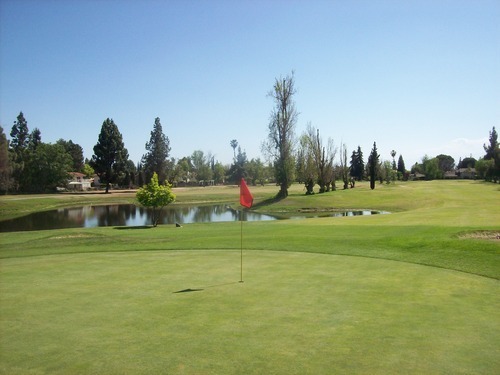 I wouldn’t drive three hours out of my way just to play Valley Oaks again, but if I’m driving through along Highway 99, it’s a good stop. 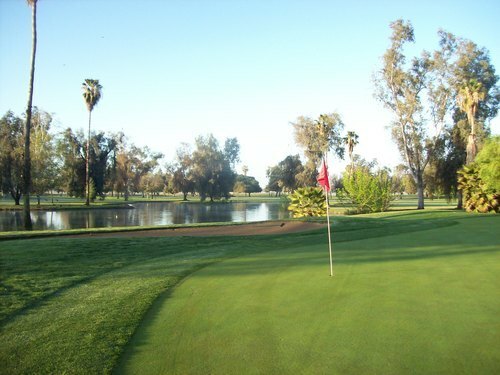 It’s a step above any of the public Kern County courses to the south of it (except for Riverlakes Ranch) and makes me interested to play some other Tulare County courses on future road trips through the Central Valley. 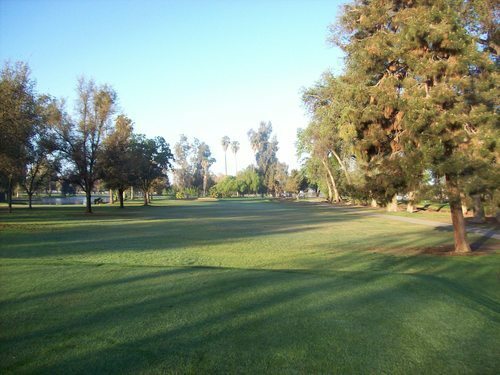 At some point, I wouldn’t mind getting to play the Valley nine to see how it compares to Oaks and Lakes. Note: I did return to play the Valley nine in 2016. You can read that review here. 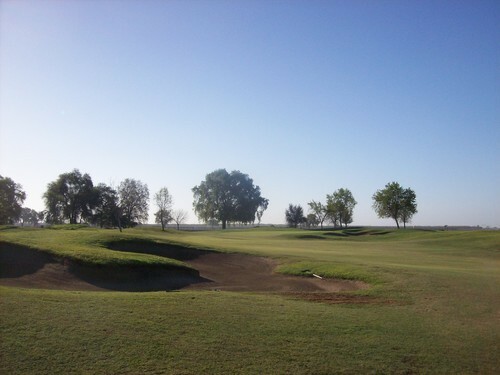 After finishing at Valley Oaks so early, I had plenty of time to get back down to Bakersfield for my second round and I made a couple stops along the way to satisfy my own curiosity. 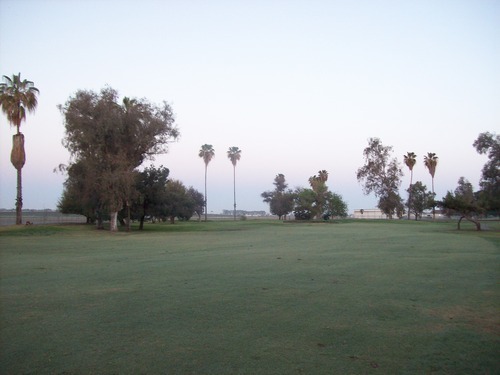 I stopped in Delano to see what Delano Golf Course looked like. I knew it was just a little 9-hole executive track and thought I might try to squeeze in a quick round in the late morning. It wasn’t too crowded when I showed up, but there were just enough people around that I didn’t think I could get around as quickly as I would have needed to. 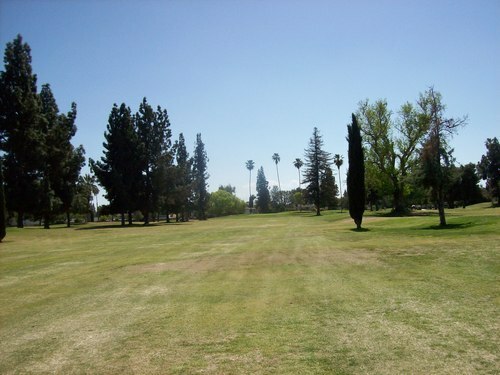 Also, the course looked pretty uninteresting, so I decided to keep on moving. 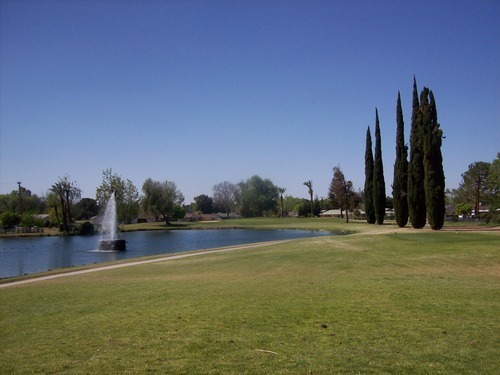 I then drove by what’s left of Valley Rose Golf Club in Wasco. I knew this course closed a couple years ago, but you never know when something might be purchased by new owners and reopened. Well, it’s safe (and unfortunate) to say that resurrection will never be happening. I saw the clubhouse building and then just a huge plot of dirt. 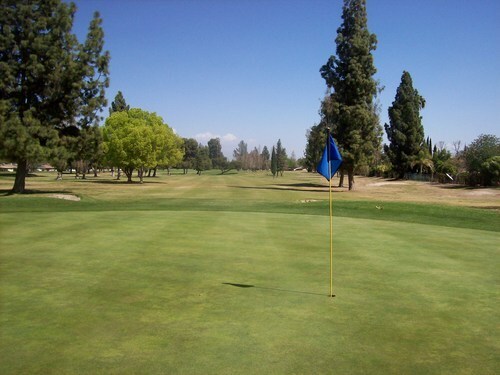 There is no skeleton of a golf course even remaining. It looks to have been graded for construction or even just tilled for farmland. Either way, there is nothing left. Even though I know it was never anything too great, it still makes me a little sad I didn’t have a chance to play it before it literally bit the dust. Sundale was the reason for this little day trip. I got there a little before noon, even though my tee time wasn’t until 1:00. I had booked a “hot deal” time through GolfNow for just $33, but figured I would show up early and try and get out sooner. I checked in and they said I could head out to the first tee whenever I was ready. I asked the guy in the pro shop if they’ve always had some public tee times and he said it’s a brand new thing they’re trying to drum up extra business. 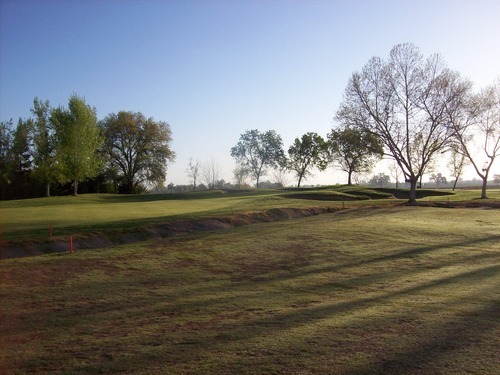 The tee times are pretty much just relegated to the afternoons, but the fact they offer public play on Saturdays and Sundays gives it extra appeal. 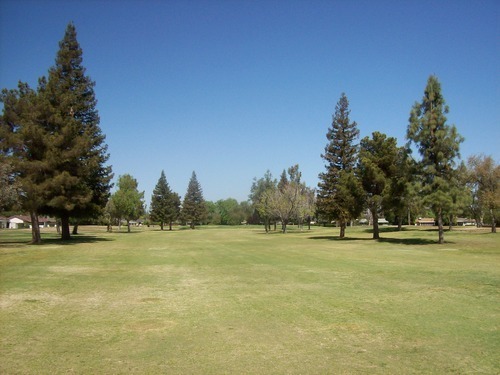 Google Maps also lists this property as Kern City Golf Course. At first when I saw that, I thought maybe it was a muni that at some point converted over to a private club. 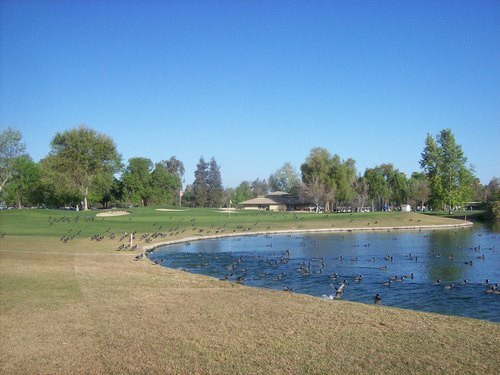 However, I learned that it’s part of a senior community called Kern City, so that explained the former name. I’m not sure when it changed to Sundale, but it’s probably a more appealing name for a club than something that sounds like a city course. 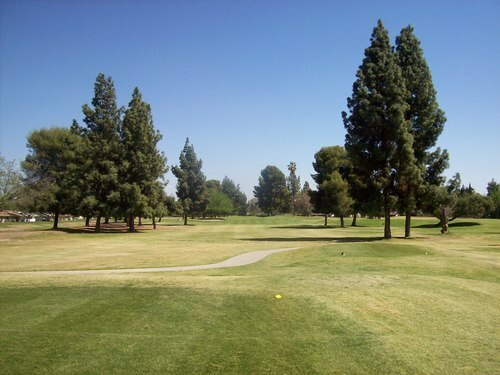 I teed off on my own and was cruising along nicely until about the 5th hole. Then I ran into a really slow twosome, who were behind at least one other foursome I could see. I didn’t press much, but it was slow going for sure. Luckily, the vibe here is very relaxed. Whatever groups were in front of me seemed to take a leisurely break at the turn, so I jumped ahead to the 10th tee and enjoyed most of the back nine to myself. I finally caught some groups on the 17th hole. Overall, I finished in about three hours, so I can’t complain at all. The course itself is pretty standard fare. It’s a solid overall layout, but nothing too exciting. 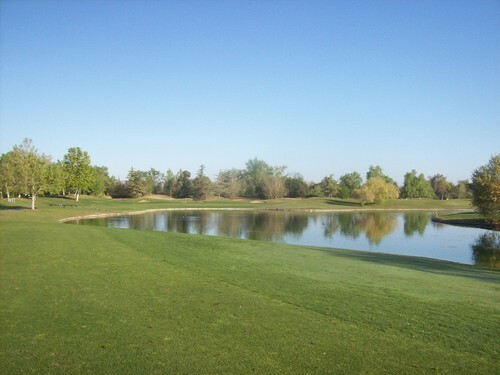 Pine trees line the fairways and a handful of water hazards also come into play for the signature holes. The most notable ones are 7, 8, 17 and 18. 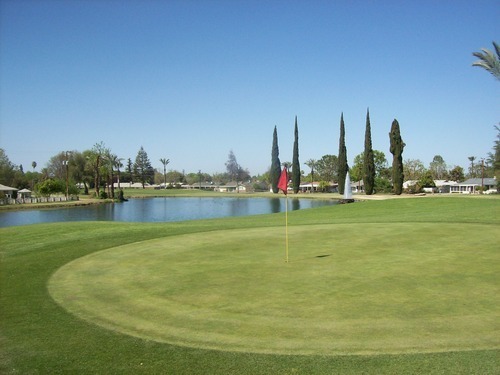 There’s a good overall mix of hole lengths and doglegs, so the layout doesn’t favor one shot style or another. 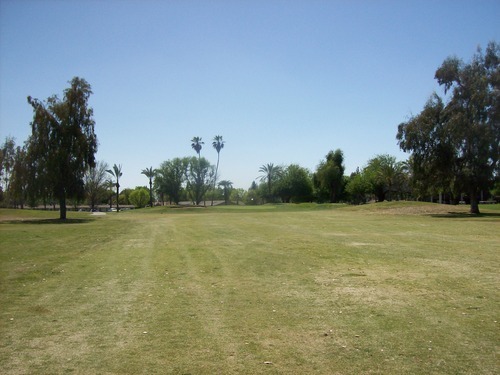 There are some narrow fairways where you have to be a little careful and some wide open ones where you can bomb away with the driver. The greens at Sundale are relatively small and most have some decent protection in the form of bunkers. 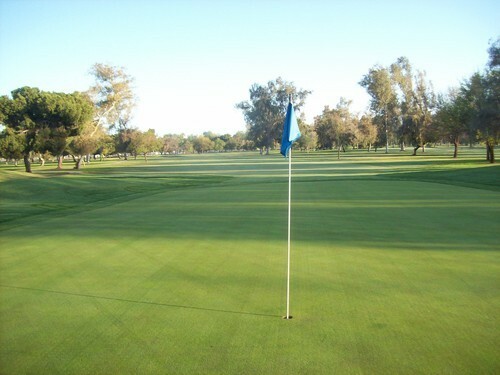 The greens themselves have some slopes that can be tricky based on the pin placements, but nothing too crazy. 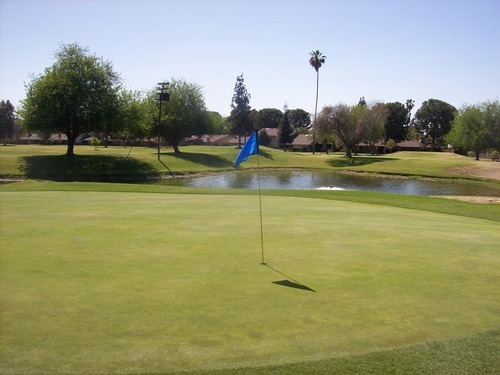 Despite being a course that caters to the senior crowd of its community, Sundale is relatively lengthy. 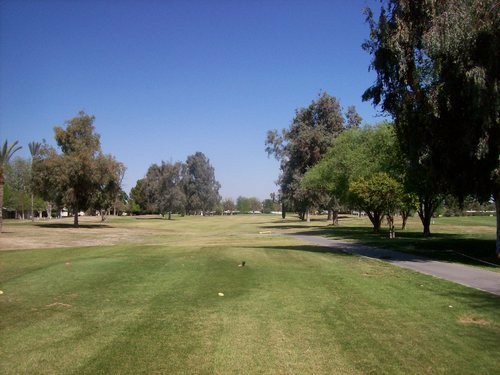 I played the white tees, which are over 6,500 yards and the blues are over 6,800. 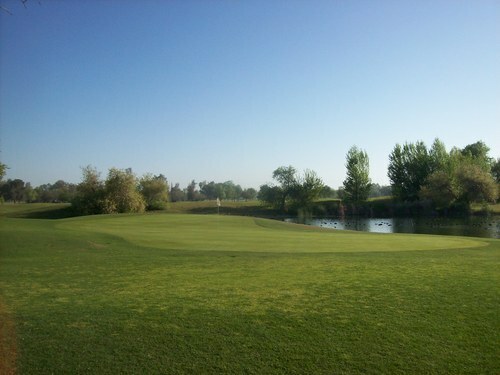 The course was in decent playable condition, but not as nice looking as I hoped. I had called earlier in the week to inquire about conditions and the guy said it was really nice and green. That was maybe partly true at best. 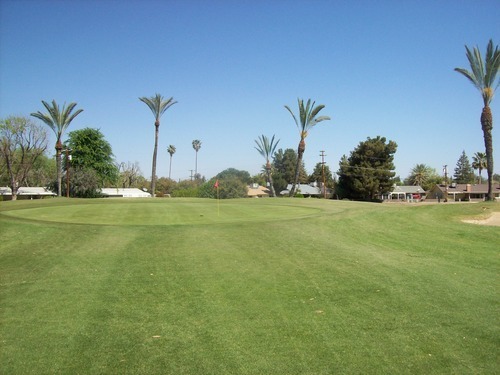 The fairways and rough had a lot of brown in them and were very thin/firm. That extra roll-out definitely helped on some of the longer holes, though, and lies were generally consistent enough. 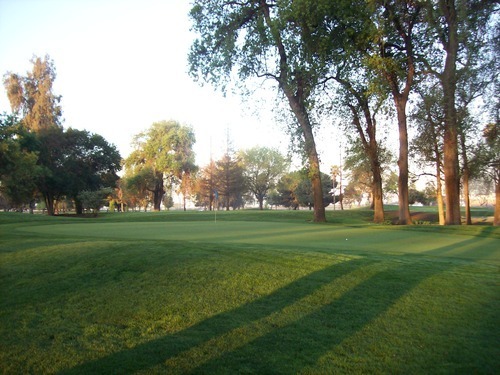 Around the tees and greens is where Sundale looked and played its best. The tee boxes were lush and green. They were perhaps a bit too shaggy in some places, but that’s a minor issue. About 20 yards in front of each green is where they clearly started focusing their recent overseed. It is pretty nice leading up to every green and all around them. 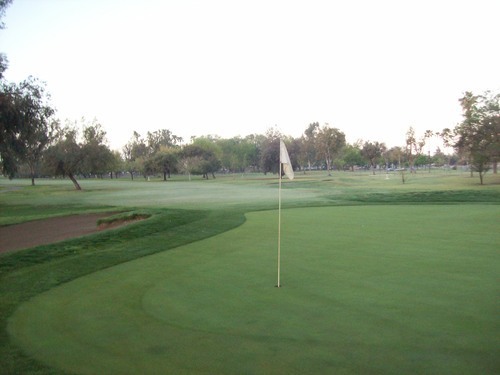 The greens themselves were a tad firm on approaches, but smooth and true on putts. The sand traps were good, as well. 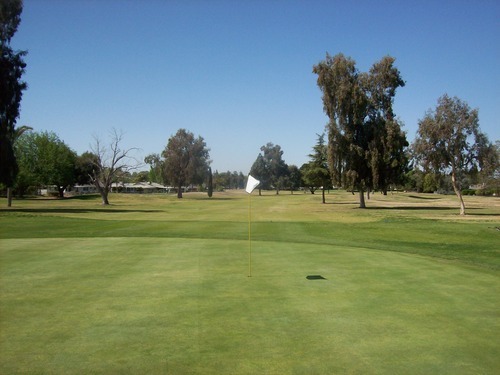 Sundale Country Club is a decent course in an area where there’s not a ton to choose from. 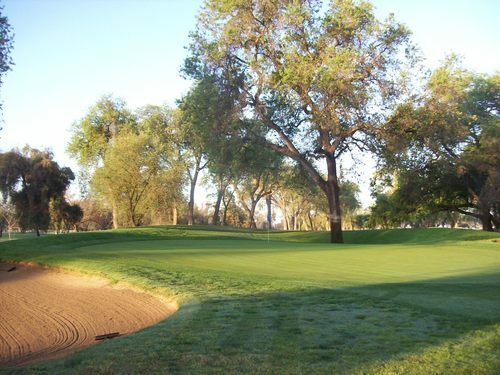 If I were a local with limited public courses around, I’d be happy to have this as a solid new option within the rotation. But for someone coming in from out of town like me, it’s not quite nice or interesting enough to get too excited about. I’m glad I satisfied my curiosity and checked another off the new “gray area” list, though.